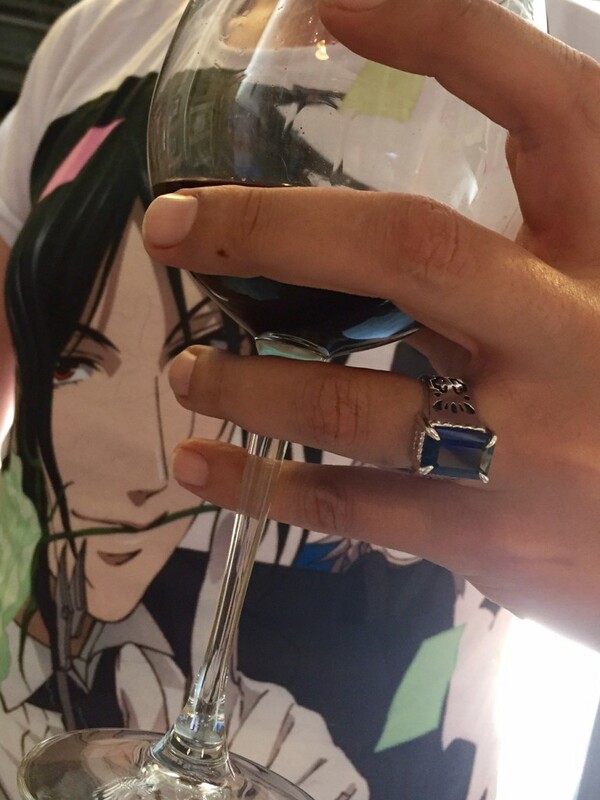 Dean had never designed an “anime” ring until Mark came in a couple months ago hoping to create a wedding ring inspired by the character “Ciel Phantomhive” of the Black Butler manga and anime series. 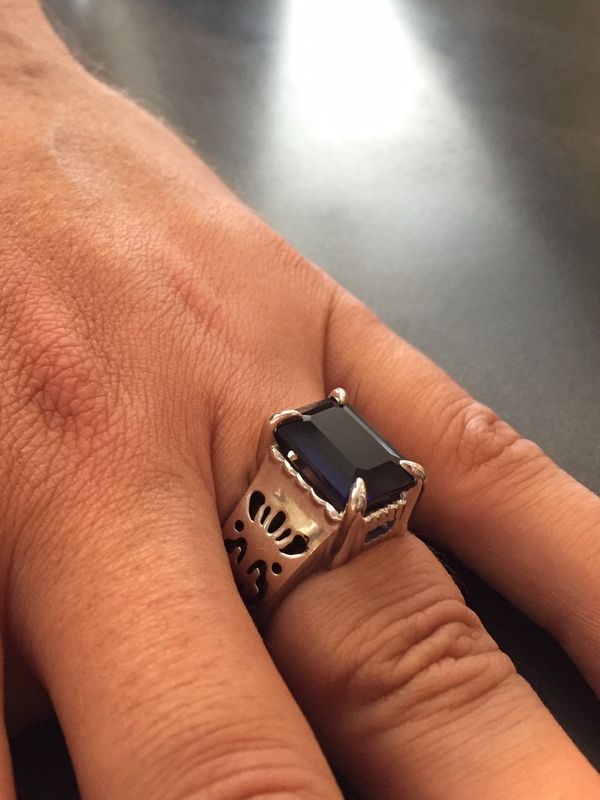 Mark now has a unique piece of fine custom jewelry that’s fit for a super fan (he came to pick up the ring wearing his Black Butler t-shirt). 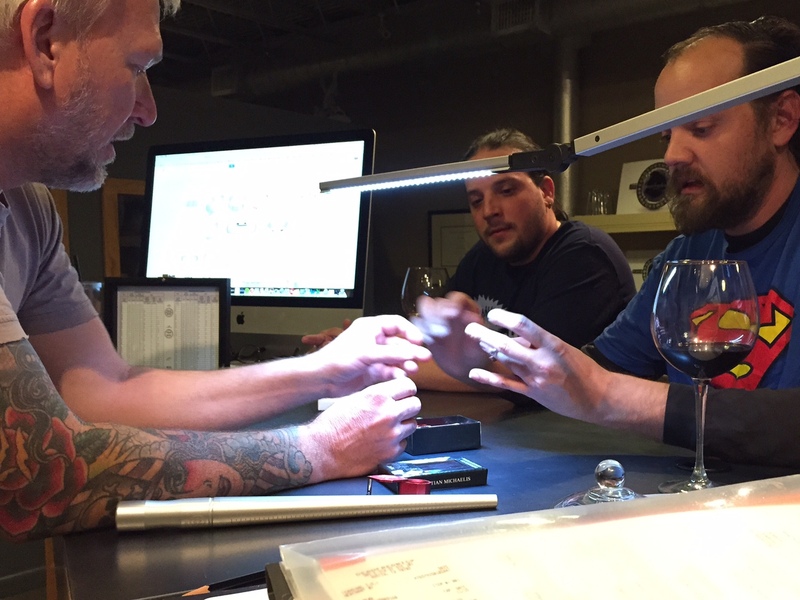 Dean used Mark’s 9.79ct emerald cut blue sapphire and created the ring in 14k white gold. Mark is thrilled with the result, and he is getting married this weekend at Sherwood Forest Faire. Best wishes to Mark and Buddy! 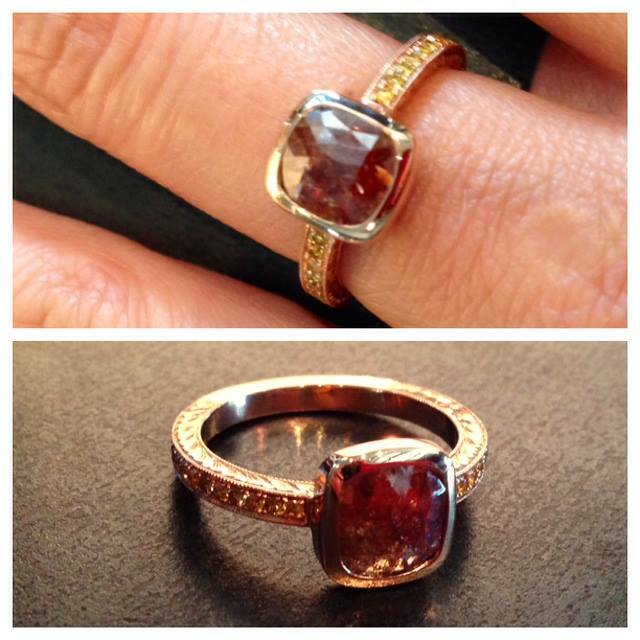 If you dig Mark's ring, please share with your friends. Thanks.